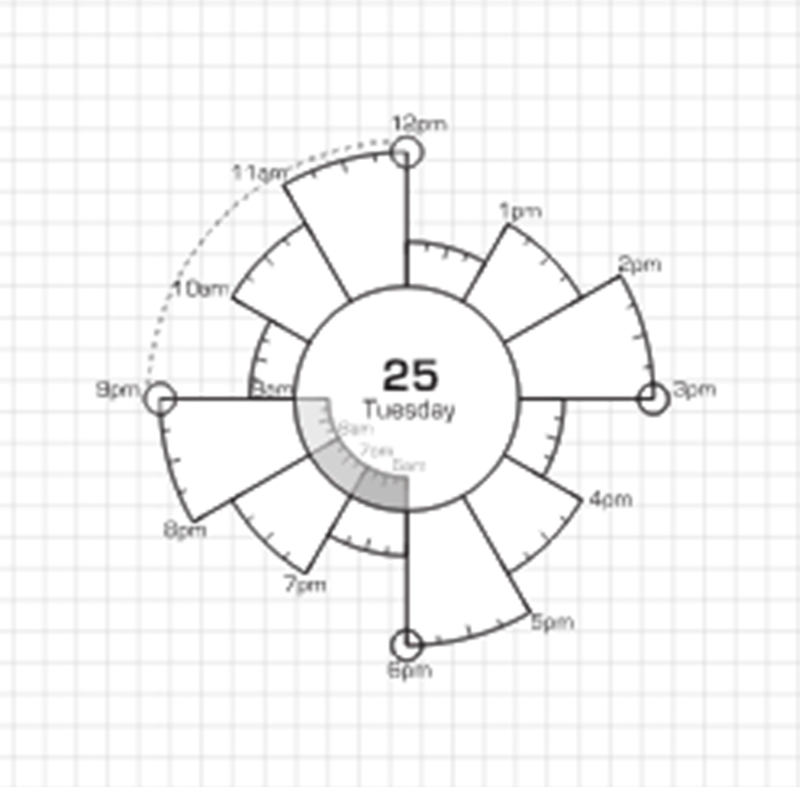 You may know Patrick Ng's gorgeous Chronodex planning tool or Kent From Oz's version, the Spiraldex. There are other derivatives, too. I've tried these circular planning tools and they don't work for me, but enough people swear by them that you should check them out and see if they work for you. Both Patrick and Kent have videos showing their systems in use. The theory seems sound; if you use a conventional watch face, you'll be comfortable with the hours of 12, 3, 6 and 9 at the cardinal points, so a picture that represents appointments as though on a clock face ought to make sense intuitively. Except that for me it doesn't. I have to spend time looking at the tool to work out what it's telling me. Add in the fact that there are two 9 o'clocks each day and for me the visualisation really becomes too complex. On the other hand, show me a conventional planner layout with times shown in a straight column and I can take in the information without having to decode it. I can write what I'm planning to do next to the time, without having to find somewhere to write it outside the circle. Since I write horizontally in one direction only, the vertical list of times makes this very easy. 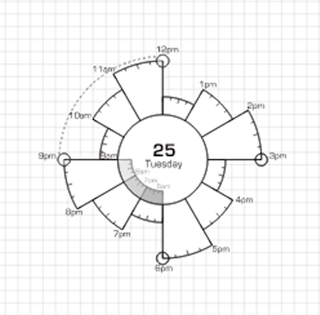 I so want to be able to use Chronodex; I love the aesthetic, but I just can't make it (or the other derivatives) work for me. Maybe you can?